Members of Indivisible KC were present at U.S. Sen. Jerry Moran's town hall in June which focused on health care. Updated: This story was updated at 11:15 a.m. to add the latest developments following news Moran will support a new plan to repeal the ACA. 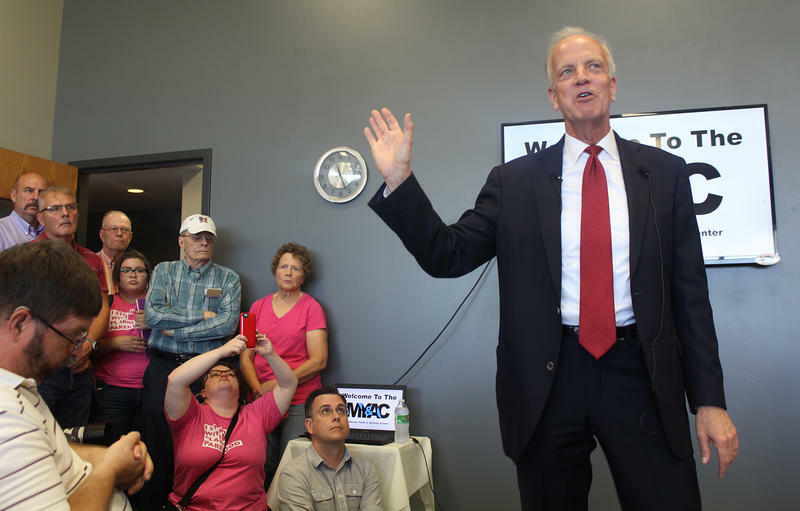 The mood of a rally outside Sen. Jerry Moran's Olathe office suddenly turned after it was announced the Kansas Republican had come out in support of an evolving GOP plan to repeal the Affordable Care Act before setting to work on a replacement plan. The crowd of activists had gathered at Moran's office Tuesday, initially in a celebratory mood following Moran's announcement Monday night he would not vote for the U.S. Senate's plan to repeal and replace the ACA. But reports soon began to surface during the rally that Moran would throw his support behind a so-called "repeal-and-delay" plan being hatched by Senate Majority Leader Mitch McConnell. KCUR's Jim McLean told Up To Date Tuesday that the crowd turned "defiant and angry." Organizers of the rally with local activist group Indivisible KC have long been pressuring Moran to not support GOP plans to roll back the health care law known as Obamacare. 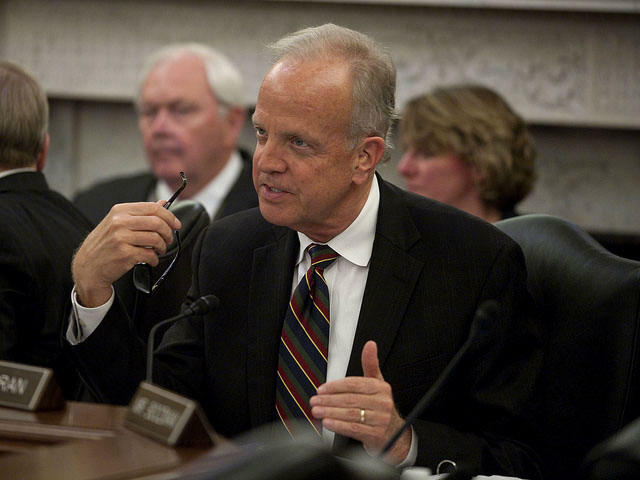 In the wake of U.S. Sen. Jerry Moran's announcement Monday night that he will not vote for the Republican-backed plan to repeal and replace the Affordable Care Act, local activists say they will gather outside the Kansas Republican's Olathe office Tuesday morning to "say thank you." The previously-scheduled event was originally billed by organizers as a "rally for health care." Indivisible KC, a progressive-leaning activist group formed in January, has agitated on a variety of issues from the environment to education. Recently they have focused much of their effort on Congress' ongoing health care debate. "We've been working hard on this and we've been trying to engage Senator Moran on a variety of issues since January," Leslie Mark, an Indivisible KC Board Member, says. Mark says the organization has worked with other area groups to make contact with each metro-area lawmaker at least once every two weeks, whether that be at rallies or showing up at town halls. "This is not just Indivisible's doing. We’ve partnered with a lot of really amazing people," Mark says. "The most amazing people are Kansans who have stood up and come out and shared their stories." 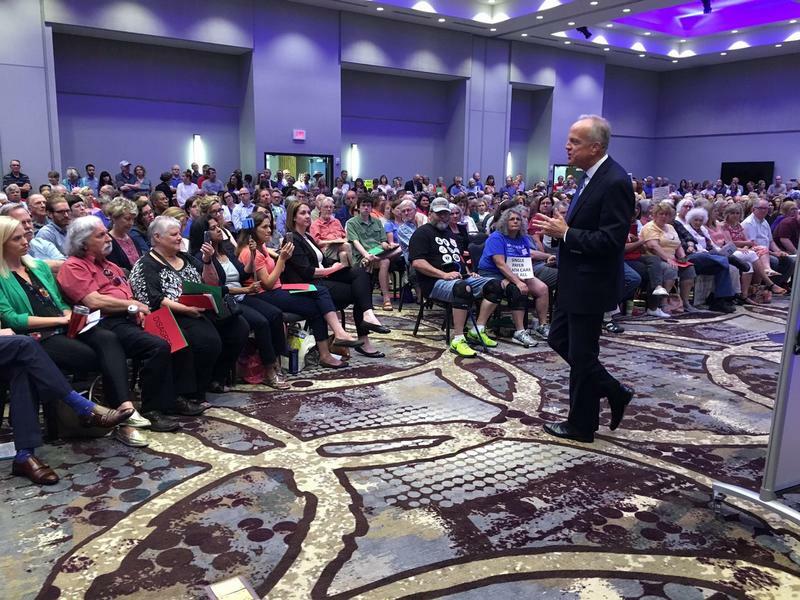 Although Moran has announced his opposition to the Senate's health care bill in its current form, Mark said Indivisible KC will still be at his office Tuesday. "It's really a 'thank you' to Senator Moran," Mark says. "We are very grateful for him finding his Kansas common sense and standing up to his leadership." Mark says there is still more work to be done in regards to health care. "I don't think this issue is dead," Mark said. "We have a lot of problems and concerns so we'll be looking for ways to the politicians together to continue talking about the situation. After the gathering at Moran's office, the group plans similar rallies Tuesday at offices of Sen. Pat Roberts, Republican of Kansas, and Sen. Claire McCaskill, Democrat of Missouri. Ultimately, Mark said Moran's announcement is a first step towards her group's ultimate goal of open and civil conversation in Washington. "It's a chance to push the reset button and start talking," she said. Kansas’ uninsured rate would be 35 percent higher by 2022 under the Senate’s health care proposal than under the Affordable Care Act, according to an analysis by the Urban Institute.